The Tempio Malatestiano, or the church of San Francesco as it was correctly known up until the nineteenth century, is perhaps the most important monument in Rimini, and certainly one of the best preserved. The importance of the church lies in the fact that it was one of the first (if not the very first) ecclesiastical buildings to incorporate classical architecture – an important departure that ushered in a golden age of building in the renaissance. Before Sigismondo Pandolfo Malatesta, ruler of Rimini between 1432 to 1468, decided to build a new church, there already existed an important church on the site, connected with the Malatesta family. The original Gothic church of San Francesco, Rimini, was rectangular in shape, with a single nave ending with three apses. The church probably included frescoes by Giotto, who it has been suggested stayed in the City for a period around 1300. A famous crucifix, from this period, attributed to the Florentine artist remains on view in the Church today, but sadly much of the other work done during this time was presumably destroyed when Sigismondo commenced rebuilding work in the 1450s. From the 19th century onwards the church of San Francesco had been termed the Tempio Malatestiano, the name under which the building is known to this day. The name, to modern ears, sounds verging on the profane, strengthening the arguments that the building realised by Leon Battista Alberti was a neo-pagan monument to the vainglory of Sigismondo Pandolfo Malatesta, the infamous ‘tyrant of Rimini’. The close identification of the Church with Sigismondo has made it all too easy to view the church as a neo-pagan monument to vanity, but, as outlined by Helen S. Ettlinger 1, there is plenty of evidence to place Malatesta’s rebuilding of San Francesco as firmly rooted in Christian tradition. The most telling signs of profanity would seem to be the chapels dedicated to the planets and zodiac, and to the muses, but in reality many churches from the medieval period onwards had similar chapels. A certain scandal might be evoked by the use of the intertwined letters S & I, dedicating the church to an extra-marital union. In reality, though, the Church’s attitude, and that of society in general, to mistresses during this period, while officially stern, was open to question. Isotta received Papal permission to build her own chapel in the building, dedicated to the angels, and indeed recieved papal indulgences for this act of piety. Finally, it should be remembered that, while Sigismondo was in favour with the Papacy, approval for the church rebuilding was official and documented.In 1452 at the dedication of the St. Sigismondo chapel, six Bishops were in attendance, while subsequently according to Ettlinger, “the new church was described by a contemporary as being endowed with ‘most holy papal privileges and embellished with innumerable gifts of relics of saints’. So, on the basis of Ettlinger’s evidence the Tempio Malatestiano was firmly in the tradition of church building of the time. Standing in the centre of Piazza Tre Martiri, with the Augustus Arch (Arco d’Augusto) on your right, and the statue of Julius Caesar on your left, the wide partly pedestrian street facing you will be Via IV Novembre. Head up this street, and within about 100m you’ll find the Tempio on your right-hand side. 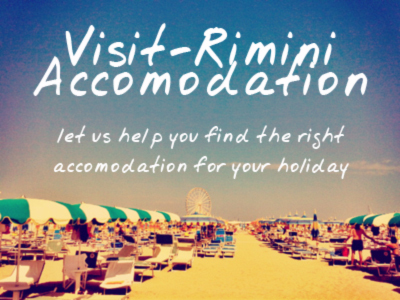 Sign up for the Visit-Rimini Newsletter for news updates, event guides and special offers!